IgA nephropathy (IgAN) and focal segmental necrotizing glomerulonephritis (FSNGN) are characterized by proliferation of native glomerular cells and infiltration by inflammatory cells. Several cytokines act as mediators of kidney damage in both diseases. The aim of the present study was to investigate the role of Th1, Th2 and Treg/T17 cytokines in these types of proliferative glomerulonephritis. Simultaneous measurement of Th1 interleukin (IL-2, IL-12, tumor necrosis factor-alpha [TNF-α], interferon-gamma [INF-γ]), Th2 (IL-4, IL-5, IL-6, IL-10, IL-13), Treg/T17 transforming growth factor-beta 1 (TGF-β1, granulocyte-macrophage colony-stimulating factor [GM-CSF], IL-17) cytokines and C-C chemokines Monocyte chemoattractant protein-1 (MCP-1, macrophage inflammatory protein-1 [MIP-1] β) was performed in first-morning urine samples, at the day of renal biopsy, using a multiplex cytokine assay. Cytokine concentrations were correlated with histological findings and renal function outcome. Urinary excretion of Th1, Th2 and Treg/Th17 cytokines were significantly higher in FSNGN compared to IgAN patients. In IgAN patients (n = 50, M/F: 36/14, M age: 40.7 [17–67] years), Th1, Th2 and T17 cytokines correlated significantly with the presence of endocapillary proliferation, while in FSNGN patients (n = 40, M/F: 24/16, M age: 56.5 [25–80] years), MCP-1 and TGF-β1 had a positive correlation with severe extracapillary proliferation (P = 0.001 and P = 0.002, respectively). Urinary IL-17 was the only independent parameter associated with endocapillary proliferation in IgAN and with MCP-1 urinary excretion in FSNGN. Response to treatment was mainly predicted by IL-6 in IgAN, and by Th2 (IL-4, IL-6), Treg (GM-CSF) cytokines and MIP-1 β in FSNGN. Th1, Th2 and T17 cytokines were directly implicated in renal pathology in IgAN and possibly through MCP-1 production in FSNGN. 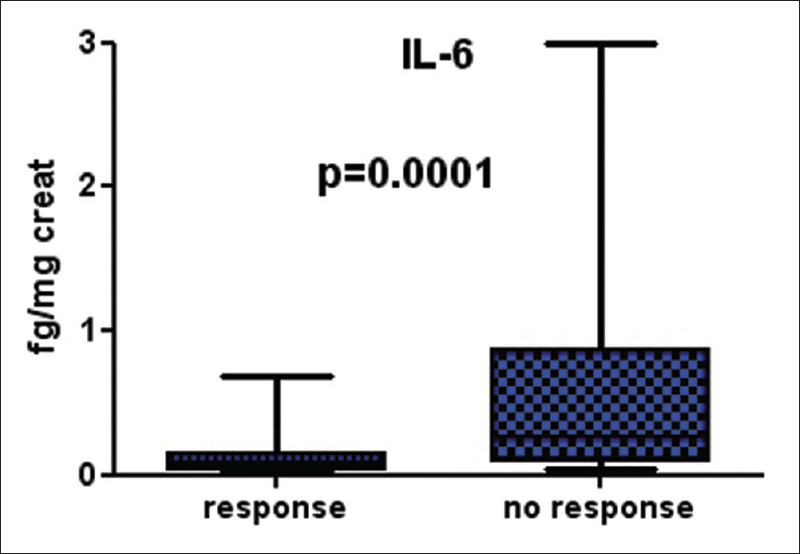 IL-17 and IL-6 seem to have a central role in inflammation and progression of kidney injury. Recently, we reported that estrogen (Es) has no beneficial effect on cisplatin (CP)-induced nephrotoxicity, but the role of progesterone (Pr) and the combination of Es and Pr are not yet well-defined. In this study, we investigated the protective role of Pr, and co-administration of Es/Pr on CP-induced nephrotoxicity. Eighty-six ovariectomized female Wistar rats were divided into 13 groups, and the experiments were performed in two phases. In Phase I, Groups 1–4 received 2, 5, 10, and 25 mg/kg, IM Pr dissolved in sesame oil every 5 days for four doses. Groups 5–8 had the same treatment regimen as Groups 1–4, but after the third injection the animals also received continuous dose of CP (2.5 mg/kg/day, i.p.) for 8 days. Group 9, as the positive control group, received sesame oil instead of Pr plus CP. Group 10, as the negative control group, received sesame oil instead of Pr. After the most effective dose of Pr was determined in Phase I, Groups 11–13 in Phase II received 10 mg/kg Pr plus either 0.25, 0.5, or 1 mg/kg, IM estradiol valerate every 5 days for four doses. After the third injection, they also received a continuous dose of CP for 8 days. The levels of blood urea nitrogen (BUN) and creatinine (Cr), kidney tissue damage score (KTDS), and kidney weight (KW) increased and body weight (BW) decreased in the positive control group (P < 0.05). Administration of Pr (10 mg/kg) plus CP decreased KTDS and BW loss and KW. Co-administration of ES/Pr at specific doses improved Cr, BUN, and KTDS; and resulted in reduced CP-induced nephrotoxicity. The results obtained suggest that the beneficial effect of Pr on CP-induced nephrotoxicity is dose-dependent. In addition, combination of Es/Pr with a specific dose decreased CP-induced nephrotoxicity. Renal allograft rejection is mediated by T-cells (T-cell mediated rejection) or by donor-specific antibodies (DSAs) (antibody mediated rejection, ABMR). Plasma cell-rich acute rejection (PCAR) is a unique entity due to its peculiar morphology and poor prognostic behavior. All allograft biopsies done at our center from January 2013 to October 2014 were reviewed, and seven were identified with a diagnosis of PCAR with antibody mediated rejection (ABMR). The allograft biopsies were classified as per the Banff 2007 schema. Immunohistochemistry with C4d, SV 40, CD3, CD20, CD138, kappa and lambda light chain was performed. Total 210 allograft biopsies were performed in the study period of which seven biopsies (3.3%) were diagnosed as PCAR with ABMR. 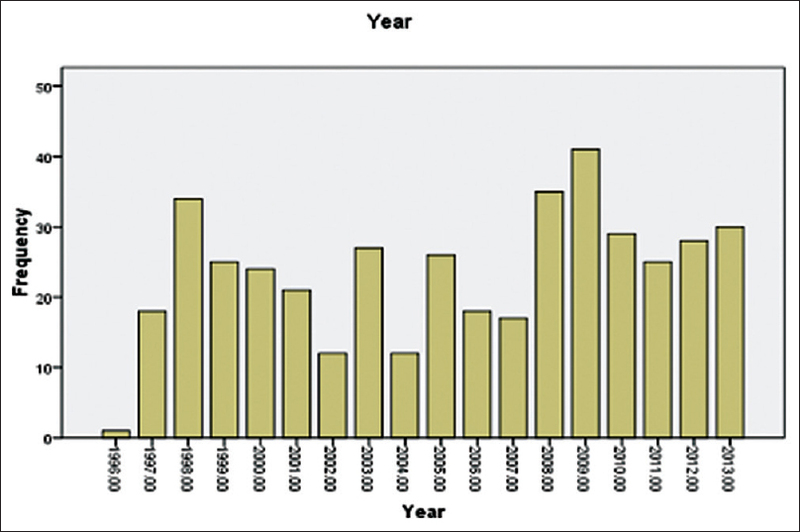 All these were late ABMRs (more than 6 months) with median posttransplant duration of 17 months. The allograft biopsy showed features of PCAR along with glomerulitis, peritubular capillaritis, and positive C4d. DSA was positive in six patients. All the patients were treated with standard therapeutic measures of acute cellular rejection (ACR) and ABMR including steroids, plasma exchange, rituximab and intravenous immunoglobulins. All the patients had persistent graft dysfunction or graft loss on follow-up. 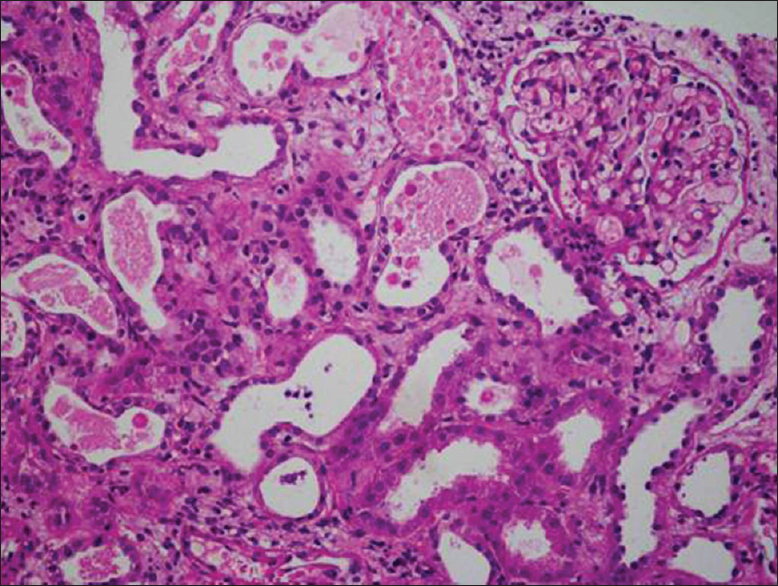 Renal biopsy interpretation requires histopathology, direct immunofluorescence (DIF) and electron microscopy. 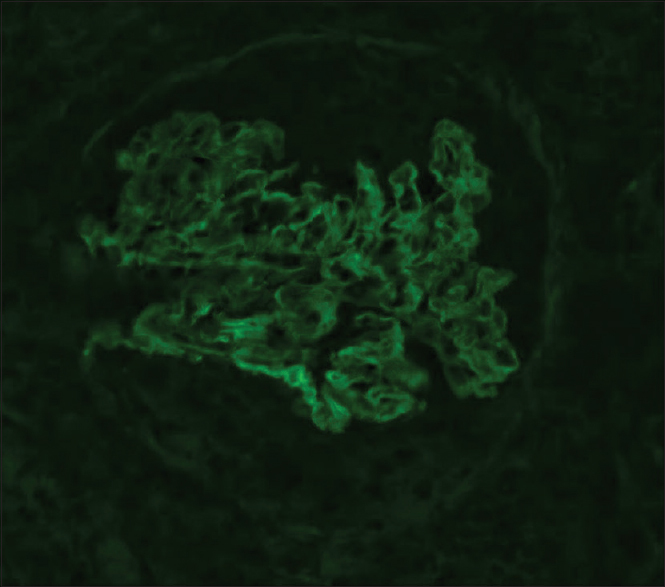 Formalin-fixed, paraffin-embedded tissue (FFPE) sent for light microscopy can be used for DIF after antigen retrieval. However, complement staining has not been satisfactory. We standardized DIF using proteinase-K for antigen retrieval in FFPE renal biopsies. A pilot study was conducted on known cases of membranous glomerulonephritis (MGN), membranoproliferative type-1 (MPGN-1), immunoglobulin A nephropathy (IgAN), and anti-glomerular basement disease (anti-GBM). Immunofluorescence panel included fluorescein isothiocyanate (FITC) conjugated IgG, IgA, IgM, complements (C3 and C1q), light chains (kappa, lambda) and fibrinogen antibodies. After standardization of the technique, 75 renal biopsies and 43 autopsies cases were stained. 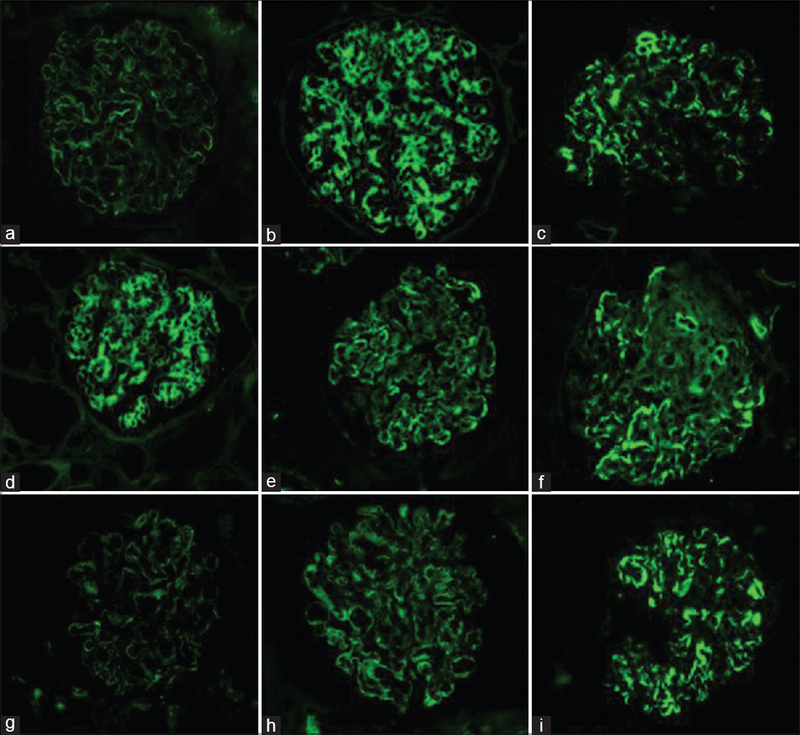 Out of 43 autopsy cases, immune-complex mediated glomerulonephritis (GN) was confirmed in 18 cases (Lupus nephritis-11, IgAN-6, MGN-1), complement-mediated dense deposit disease (DDD-1) and monoclonal diseases in 4 cases (amyloidosis-3, cast nephropathy-1). Immune-mediated injury was excluded in 17 cases (focal segmental glomerulosclerosis -3, crescentic GN-6 [pauci-immune-3, anti-GBM-3], thrombotic microangiopathy-5, atherosclerosis-3). 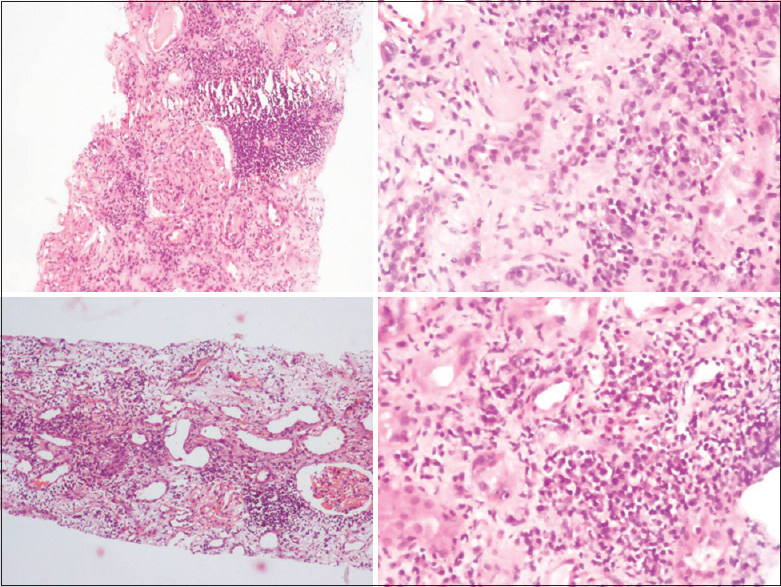 Renal biopsies (n-75) where inadequate or no frozen sample was available; this technique classified 52 mesangiocapillary pattern as MPGN type-1-46, DDD-2 and (C3GN-4). Others were diagnosed as IgAN-3, lupus nephritis-2, MGN-4, diffuse proliferative glomerulonephritis (DPGN)-1, Non-IC crescentic GN-1, monoclonal diseases-3. In nine cases, DIF on FFPE tissue could not help in making diagnosis. 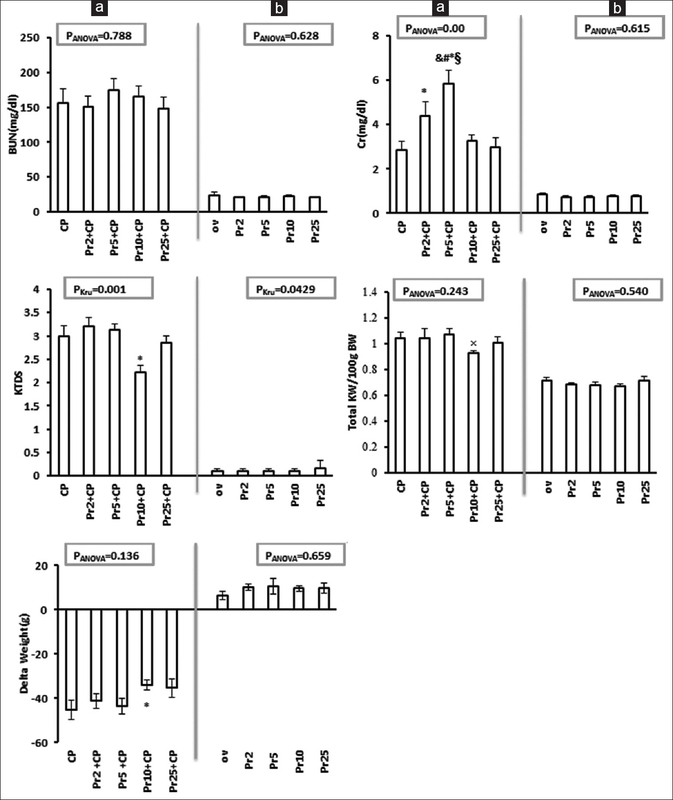 Proteinase-K enzymatic digestion of FFPE renal biopsies can unmask complements (both C3 and C1q) in immune-complexes mediated and complement-mediated diseases. This method showed good results on autopsy tissues archived for as long as 15 years. The developing world is observing changing histopathological patterns of idiopathic nephrotic syndrome (INS). However, the true burden of non-minimal change disease (non-MCD) presenting as INS remains unestimated owing to a paucity of data on renal biopsies. Data were collected from January 2006 to June 2014 on 75 children up to 16 years of age who underwent renal biopsies for INS. Mean age at biopsy was 11.2 ± 3.7 years. The male to female ratio was 1.5:1. 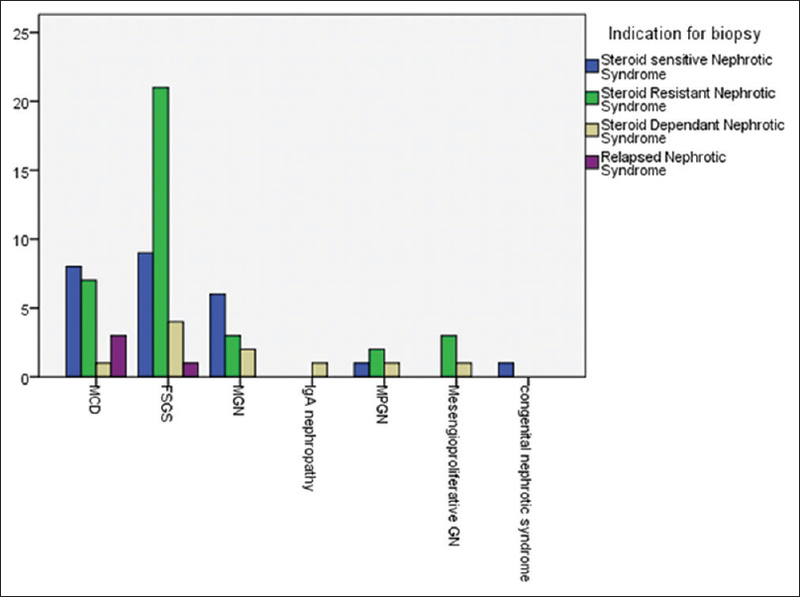 A total of 25 (33.3%) children were steroid sensitive, 36 (48%) were steroid resistant, 10 (13.3%) were steroid dependent and 4 (5.3%) came with relapse of nephrotic syndrome (NS). Focal segmental glomerulosclerosis (FSGS) was the most common histopathological subtype observed in 35 (46.8%) children followed by membranous glomerulonephritis (MGN) in 11 (14.7%), membranoproliferative glomerulonephritis (MPGN) and mesangioproliferative glomerulonephritis (MSGN) in 4 (5.3%) each and IgA nephropathy in one (1.3%). MCD was the histological lesion in 19 (25.3%) children. 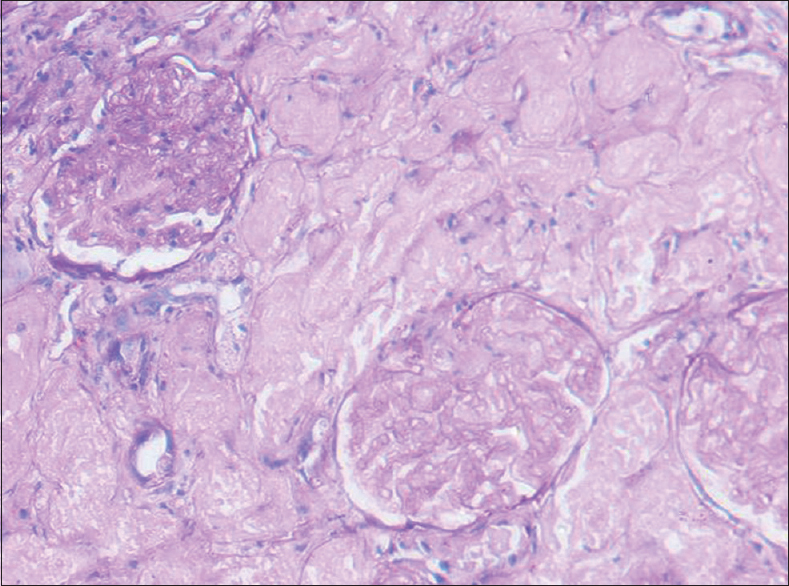 The histopathology established FSGS as the main underlying cause of steroid resistant NS. The study highlights the emergence of non-MCD as the common cause of INS in the pediatric population and signifies the importance of renal biopsies in children with INS. We initiated a program for early detection of diabetes and hypertension, the main causes of kidney failure in Guyana, South America. We trained local high school students with the goal that these students would stay in the villages for long-term, become health advocates and shift the reliance away from physicians. This project involved 7 high school students who were taught to monitor the health of one village of 1000–1500 population each. The program will be implemented for 3 years in which the entire population of seven villages (approximately 10,000 people) will be covered. This represents 1.3% population in Guyana. We present data from the pilot study from the sample of 619 people. The prevalence of diabetes mellitus was 13.9%. Among diabetics, 33.7% were using insulin and 86% oral hypoglycemic agents. Prevalence of hypertension was 29.4%, 63.2% were overweight and 17% were obese. About 9.9% patients were unaware about the existence of hypertension. We have shown in our study that high school students can be used to collect health data and monitor diabetes and hypertension. There was also a significant incidence of undetected diabetes and hypertension. Kidney biopsy occupies a fundamental position in the management of kidney diseases. There are very few renal pathology studies available in the literature from developing world. This study scrutinized the frequency and clinicopathological relationship of kidney biopsies done at the kidney center from 1997 to 2013 amongst pediatric patients. Kidney allograft biopsy were excluded. The specimen was examined under light microscopy and immunofluorescence while electron microscopy was not done. The study includes 423 patients, mean age was 10.48 ± 4.58 years, males 245 (57.9%) were more than females 178 (42.1%). Nephrotic syndrome 314 (74.2%) was the most common clinical presentation followed by acute nephritic syndrome 35 (8.3%) and acute renal failure 24 (5.7%). Primary glomerulonephritis (PGN) was the most common group of diseases, seen in 360 (85.1%) followed by secondary glomerulonephritis (SGN) in 27 (6.4%) and tubulointerstitial nephritis in 21 (5.0%). Among PGN, minimal change disease (MCD) was the most dominant disease, with 128 (30.3%) cases followed by focal segmental glomerulosclerosis FSGS in 109 (25.8%) and membranous glomerulonephropathy in 27 (6.4%). Lupus nephritis (LN) was the leading cause of glomerular disease in SGN followed by hemolytic uremic syndrome. In conclusion, MCD is the most common histological finding, especially in younger children and FSGS is second to it. SGN is rare, and the most common disease in this category is LN while tubulointerstitial and vascular diseases are infrequent. Mercury is a toxic heavy metal and occurs in organic and inorganic forms. Inorganic mercury includes elemental mercury and mercury salts. Mercury salts are usually white powder or crystals, and widely used in indigenous medicines and folk remedies in Asia. Inorganic mercury poisoning causes acute kidney injury (AKI) and gastrointestinal manifestations and can be life-threatening. We describe a case with unknown substance poisoning who developed AKI and disseminated intravascular coagulation (DIC). 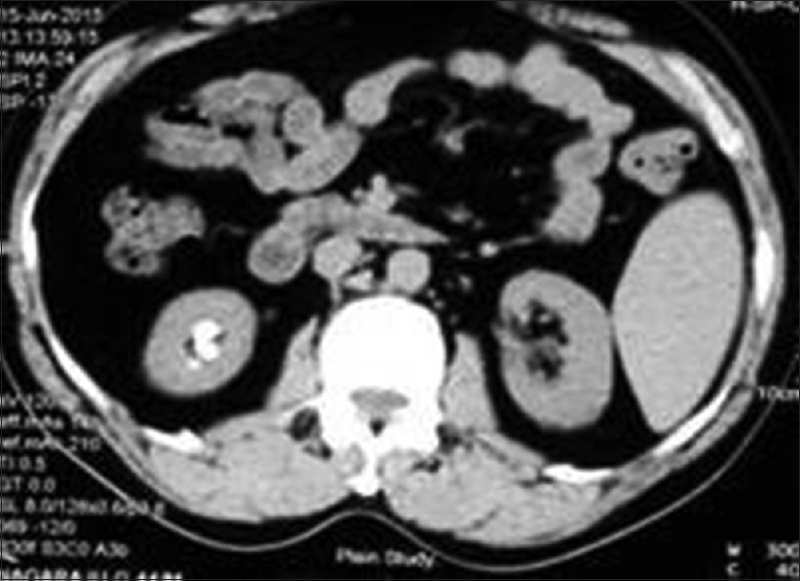 Renal biopsy showed acute tubular necrosis. Later, the consumed substance was proven to be mercuric chloride. His renal failure improved over time, and his creatinine normalized after 2 months. 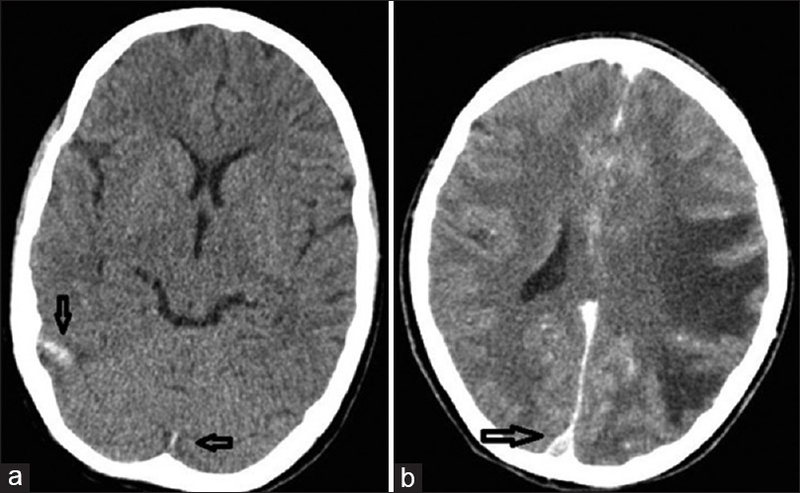 Thrombosis of the cerebral venous sinuses (CVT) is described in nephrotic syndrome. A 13-year-old girl was admitted with acute post-infectious glomerulonephritis (APIGN). Subsequently she developed recurrent seizures with focal neurological deficits. On evaluation, she was found to have CVT. 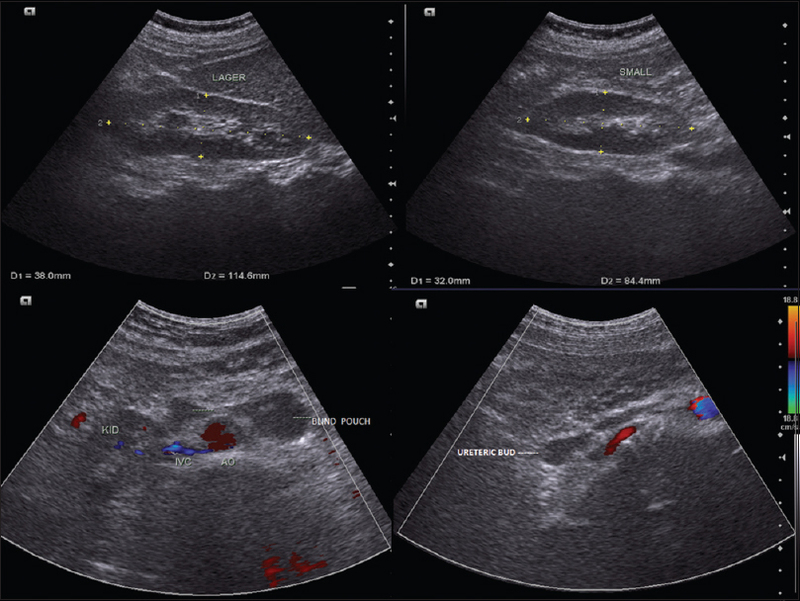 To the best of our knowledge, this is the first report of CVT in APIGN. Identifying this complication is imperative, as timely diagnosis and treatment could be lifesaving. Post transplant lymphoproliferative disorder include a spectrum of conditions occurring in immunosuppressed post transplant recipients, lymphoma being the most ominous. 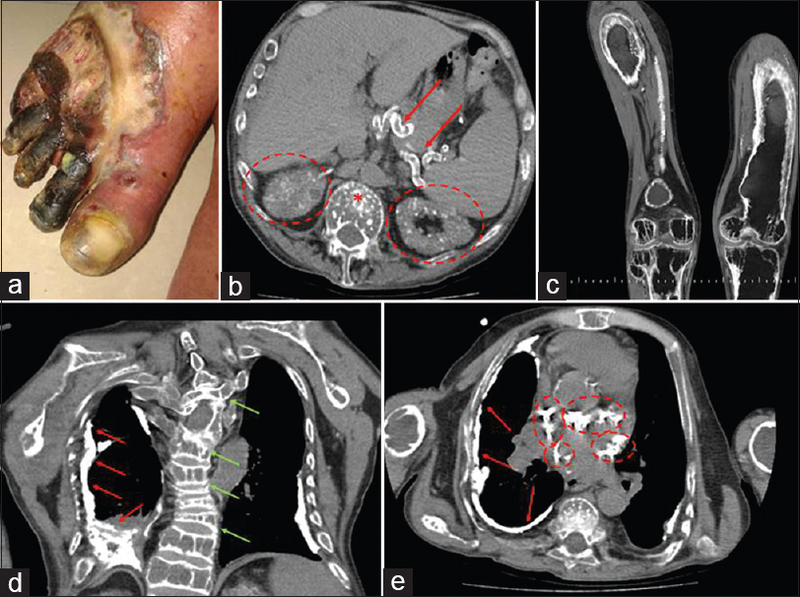 18F-fludeoxyglucose positron emission tomography with computed tomography CT) is the current imaging gold standard for lymphoma imaging as it allows both morphological and functional assessment. 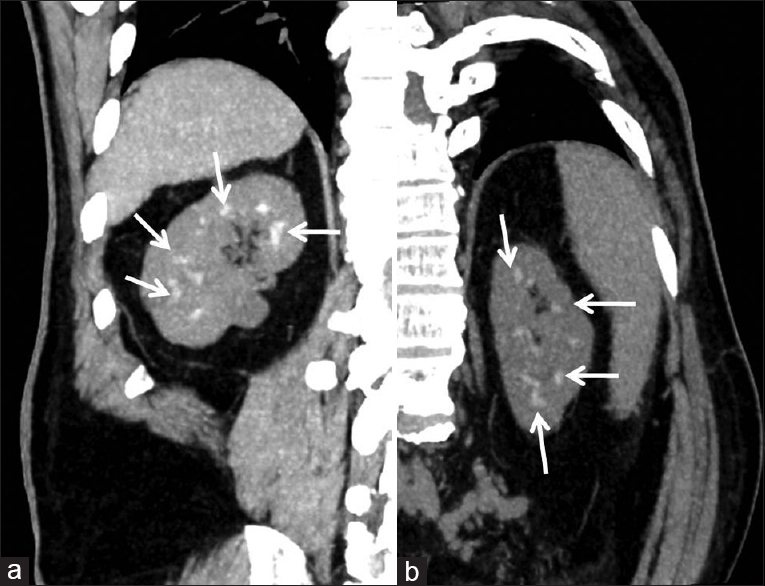 CT and/or conventional magnetic resonance imaging (MRI) are used for morphological evaluation in transplant recipients. 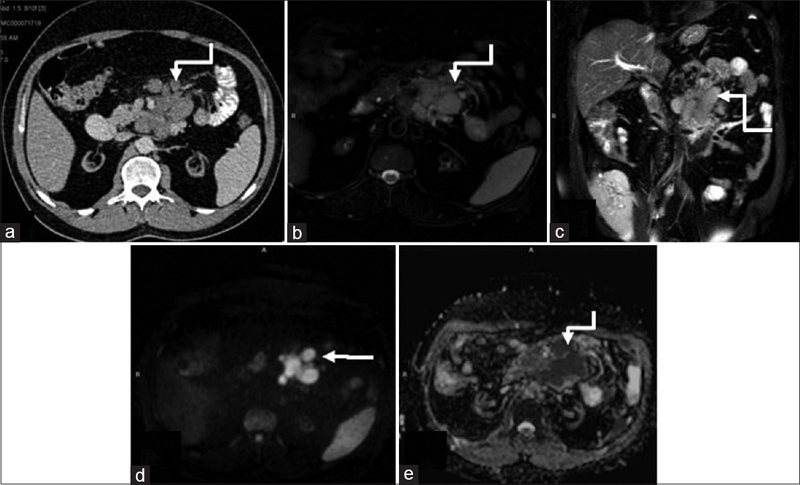 Integrating diffusion weighted imaging with apparent diffusion coefficient analysis in MRI protocol enhances its sensitivity and may prove invaluable in response assessment in transplant recipients. Liver disease due to hepatitis C infection in renal transplant recipients is difficult to treat and often associated with reduced patient survival. A 43-year-old male, a renal allograft recipient, presented at 6 years follow-up with significant weight loss over 3 months. He was detected to have new onset diabetes mellitus together with hepatitis C virus (HCV) infection (genotype 1). His HCV load remained high despite the change of immuno-suppression from tacrolimus to cyclosporine. A decision to treat with a new anti-viral combination of ledipasvir and sofosbuvir for 12 weeks was taken. Within 3 weeks, his raised serum transaminases levels normalized and viral load became undetectable. At the end of 16 weeks, he continues to do well with normal renal function, has sustained remission from hepatitis C infection and resolution of diabetes. 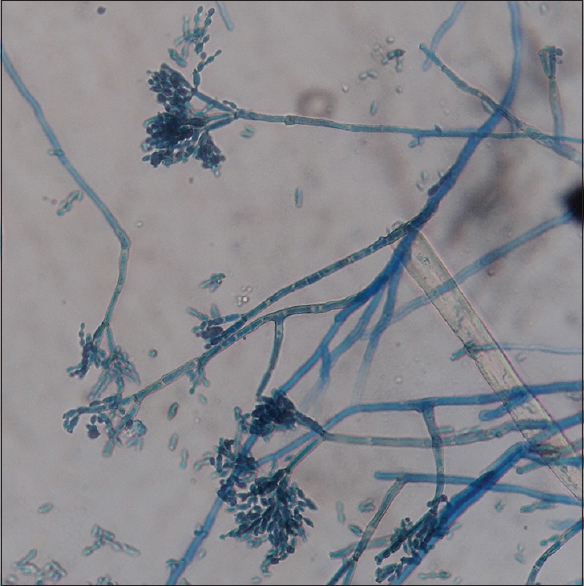 Dematiaceous fungi are the etiological agents of phaeohyphomycosis and are now increasingly being recognized for causing disease in humans. A high level of suspicion and routine fungal cultures are required to identify these cases. There is no consensus regarding their management. 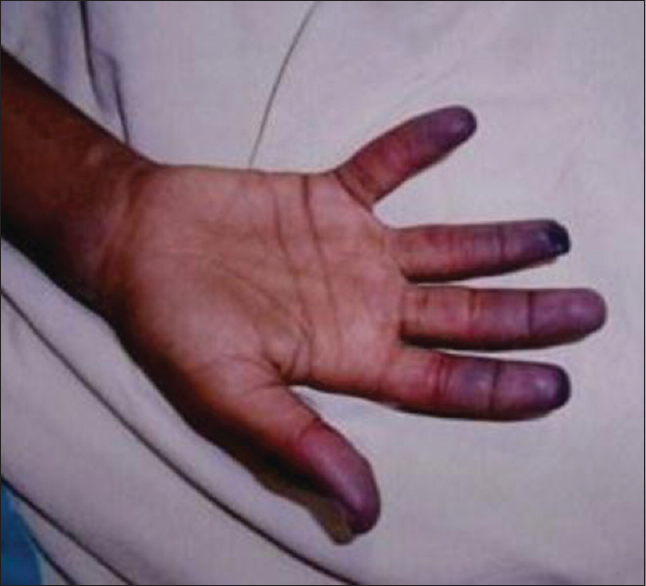 Here, an unusual presentation of phaeohyphomycosis (secondary to Fonsecaea pedrosoi) presenting as a disseminated infection in a case of nephrotic syndrome is described.